In this module, we are going to start moving coins around, including learning how to sell them back to fiat. Hopefully, you have bought yourself a hardware wallet, either a Ledger or a Trezor. I am not going to show you how to set these up, instead I have linked to their most helpful resources as they are regularly making software updates and I don't want my course to go out of date too quickly. 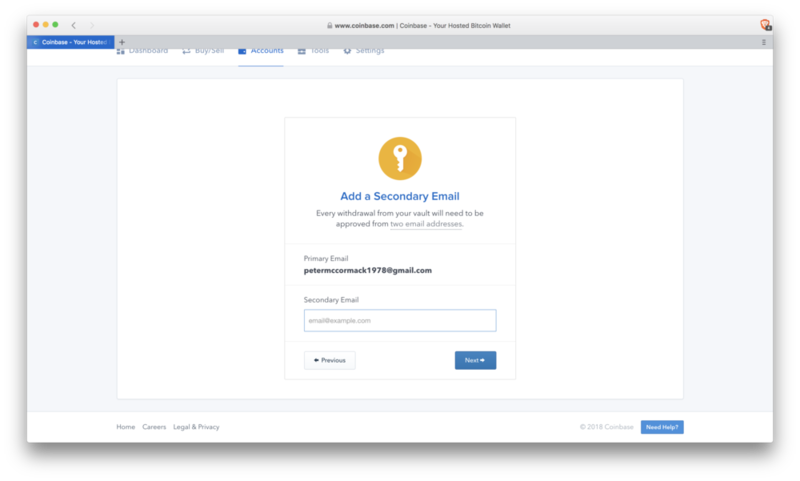 Additionally, I am going to introduce you to the Coinbase Vault and show you how to set it up. Many Crypto investors hold a firm rule of not keeping coins on exchanges. The history of this rule comes from the number of exchanges which have been hacked, and vast amounts of customer coins which have been stolen. In many cases, these customer balances were not insured, and some have lost enormous amounts of money. The most notable example was the hack of the exchange Mt. Gox, which led to the crash and Crypto bear market of 2014/2015, which you can read about here. I have used the Coinbase Vault and would recommend it to those who only want to have Coinbase coins in their portfolio and are worried about security. Personally, I don't use it myself anymore, but it doesn't mean I wouldn't use it in the future. Below are instructions on how to setup and use the Vault. Name your vault; I called mine "My Bitcoin Vault"
Once you have confirmed your secondary email you will be able to see that the vault is now setup and available to use. You will then see a confirmation and you Bitcoin will be deposited in the Vault. Note: you will receive multiple emails over the 48-hour period warning you of the withdrawal attempt to each email address you have linked to your account. Each time you will have an option to cancel the withdrawal. Once the withdrawal is complete you will receive an email confirmation and the Bitcoin will be deposited back into your Bitcoin wallet. I have found the Ledger Nano very easy to use, but if you have any questions, please do feel free to ask. I have found the Trezor very easy to use but if you have any questions, please do feel free to ask. 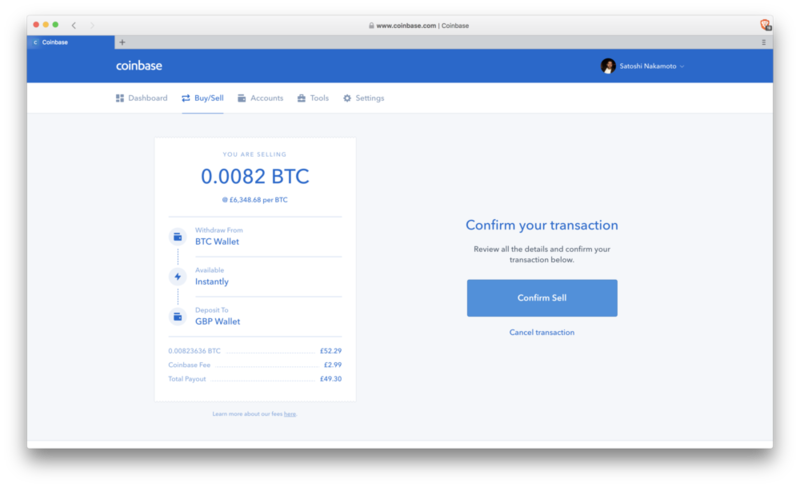 If you have reached the point where you have decided you want to sell some of your coins back to fiat, then I would recommend doing this on Coinbase for now. You may wish to research options with better rates but for now we will do this on Coinbase. Now you understand how to manage your Crypto, you can move onto Module #6 and learn about advanced investing.